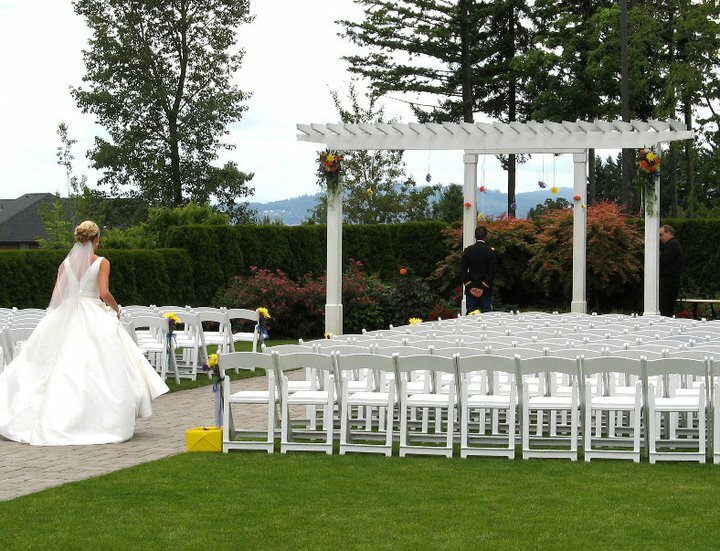 John & Courtney's summer wedding in The beautiful Abigail's Garden at The Abernethy in Oregon City, Oregon. They went with a soft color palette of Blush Pink and Sage Green along with Candles, lanterns and foliage garland. 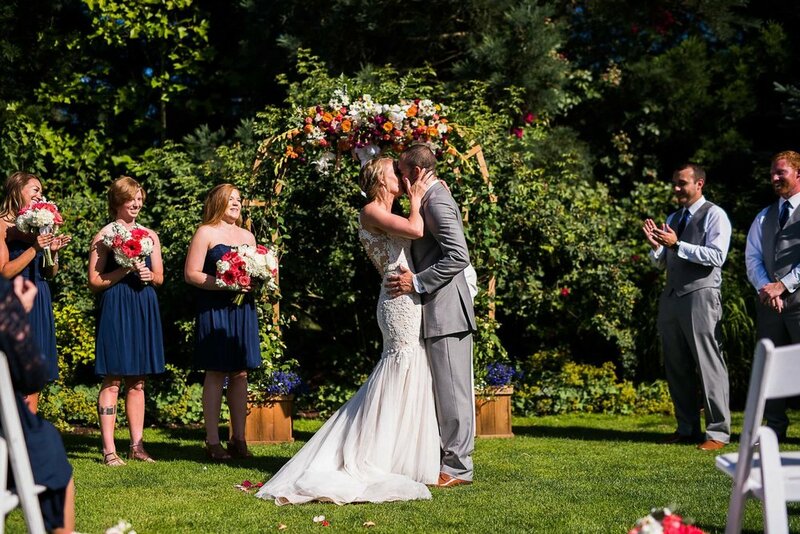 Rob and Kristina's July wedding at Edgefield in Troutdale, OR. The ceremony too place in the meadow with the reception in Blackberry Hall. Coral and White floral. 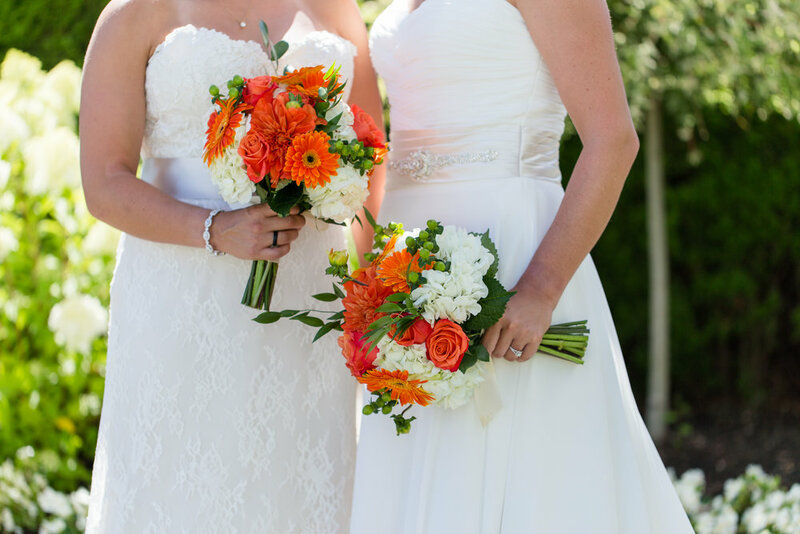 The bouquets were made of Coral Roses, White Hydrangea, White Dahlias, White Stock and Ivory Roses. Dylan & Anna's Lake Mayfield Marina Wedding was so much fun! We love outdoor weddings (when the weather is just right), and these two picked a beautiful backdrop for the big day. Their color palette was a delicate mint, with some taupe, white and blue. It was rustic, bohemian and the perfect pop for the nature inspired decor. We wanted to utilize lots of texture for their florals - from the greenery fillers to the thistle and amaranthus, this floral design was all about boho! Venue: Lake Mayfield Marina, Mossyrock, WA. Brandi and Andy had a two-state wedding event. For those of you who are from the area, you know that actually sounds much more involved than it is in reality. 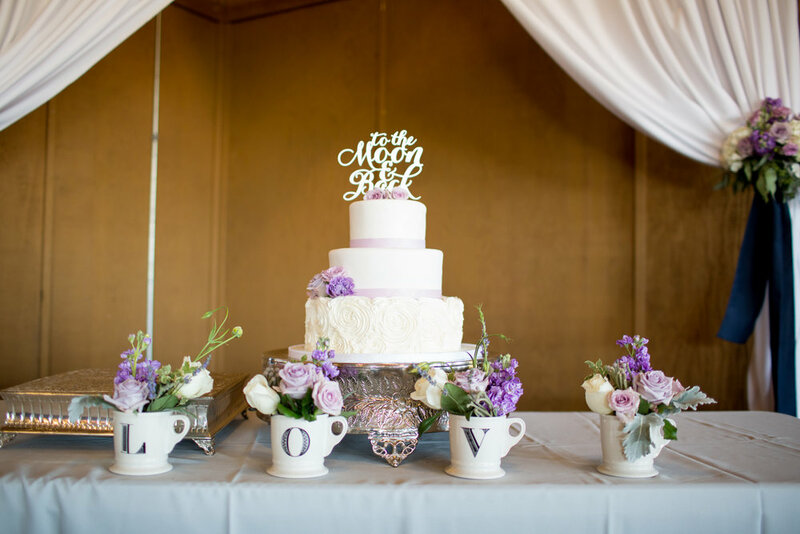 The couple was married at the Saint Joseph Catholic Church in Vancouver and then hopped the state line to host their reception in Portland at the World Trade Center. They opted to clean and classic - black and white with a subtle accent of greenery (this is perfect for 2017 Pantone color of the year lovers). Roses, hydrangea, bells of Ireland and green hypericum berries. One of my favorite floral designs for their wedding was the adorable pomander ball of miniature mums. This is a great option for flower girls, but also looks lovely as chair or aisle decor. Don't forget to follow me on Instagram for more of my favorite recent floral designs! Ceremony Venue: Saint Joseph Catholic Church, Vancouver, Wa. Reception Venue: The World Trade Center, Portland, Or. 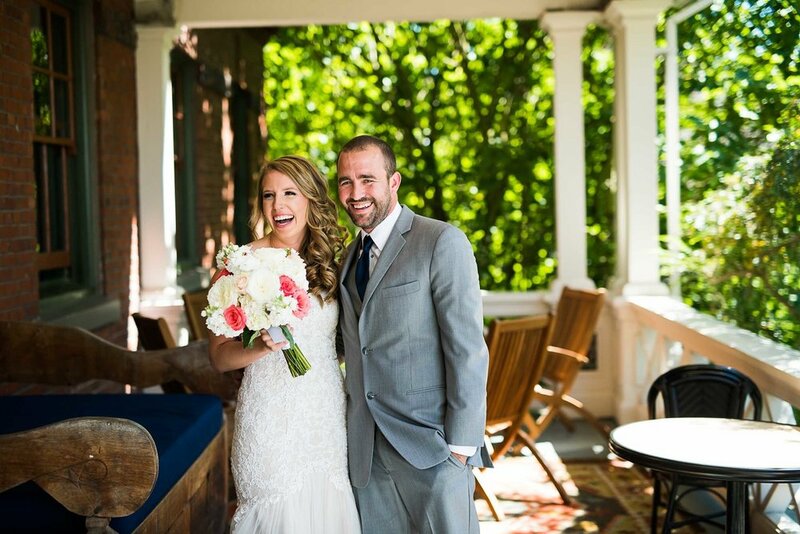 Ashley and Chris' wedding was hosted at the beautiful Abernethy Chapel & Ballroom Wedding in Oregon City. 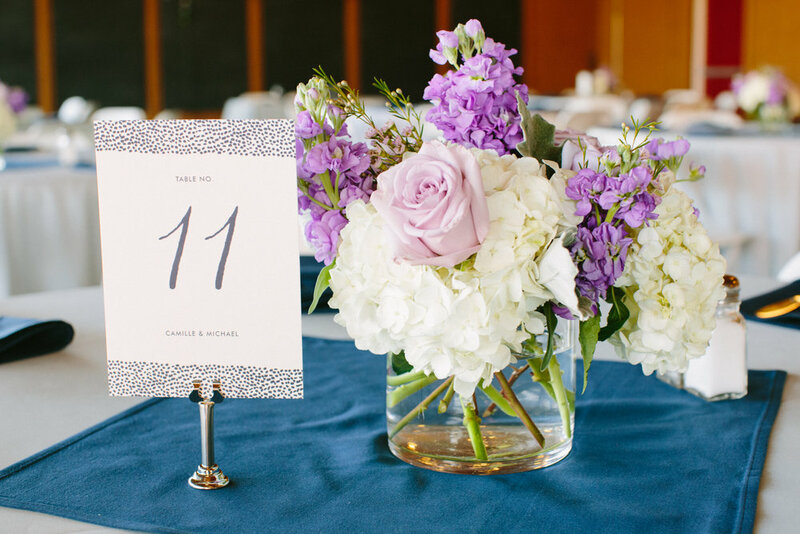 Their floral color palette was created with plum, purple and lavender with touches of greenery and white. 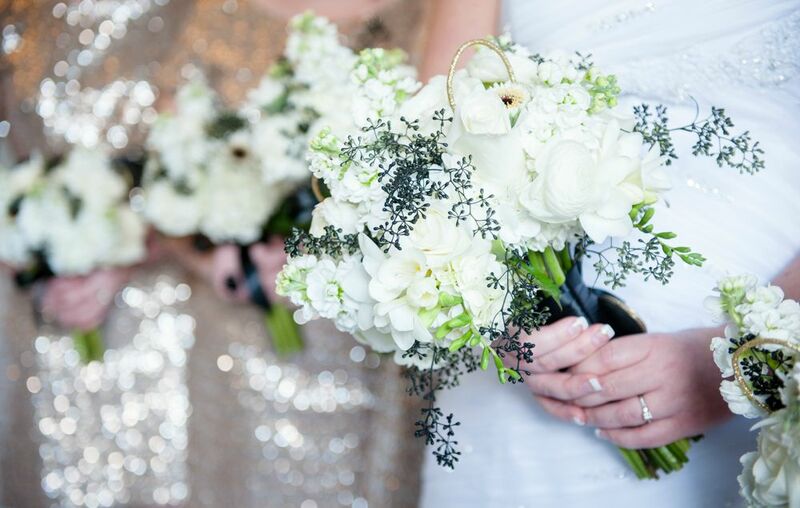 For the bridal and bridesmaids bouquets, we used calla lily, stock, hydrangea, roses and green hypericum berries. The boutonniere was crafted with seeded eucalyptus, miniature mums and calla lily. We used much of the same floral for the large ceremony arrangements that were placed on columns. We added curly willow branches for added height and filled out the arrangement with additional greenery. We loved how much dimension and texture the arrangement had! 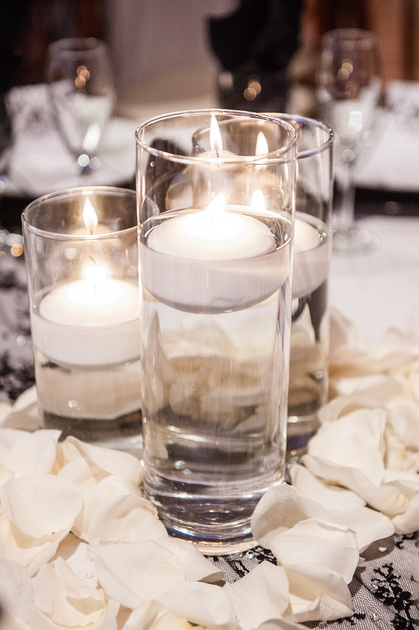 The centerpieces were floral rings that surrounded a trio of purple water filled cylinder vases and floating candles. We used three shades of hydrangea for the fluffy factor and accented with roses and stock. We loved being a part of this bright, colorful, and playful wedding at The Foundry. Evrim Icoz did a beautiful job capturing the energy of this wedding day. This couple has so much personality and they were so wonderful to work with! Their purple, yellow and fuchsia/red color theme was vibrant and unique. 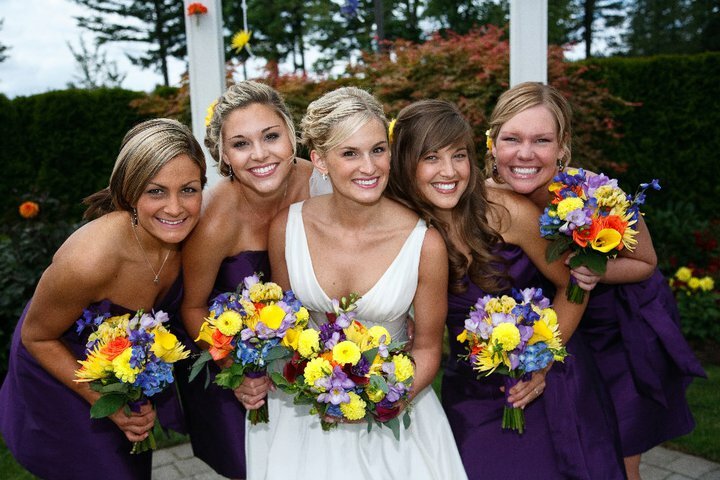 We loved how the bridesmaids dresses, umbrellas and linen choices tied everything together. It was hard to NOT be happy seeing it all! For Stephanie's bouquet, we used Gerber Daisy, Calla Lily, Stock and Billy Balls. 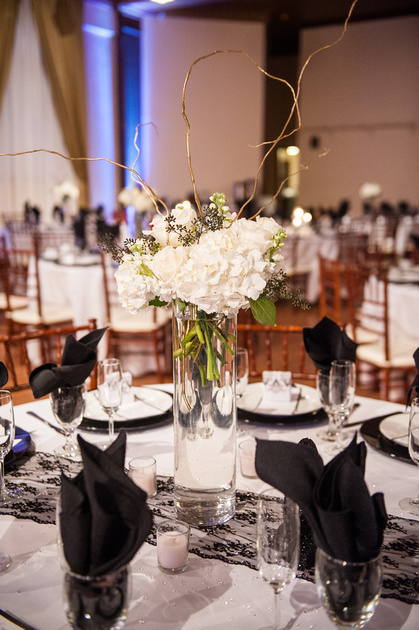 For the centerpieces, we used many of the same flowers as the bride's bouquets but added delphinium (a great alternative to orchids), roses, Asiatic lilies and tulips. 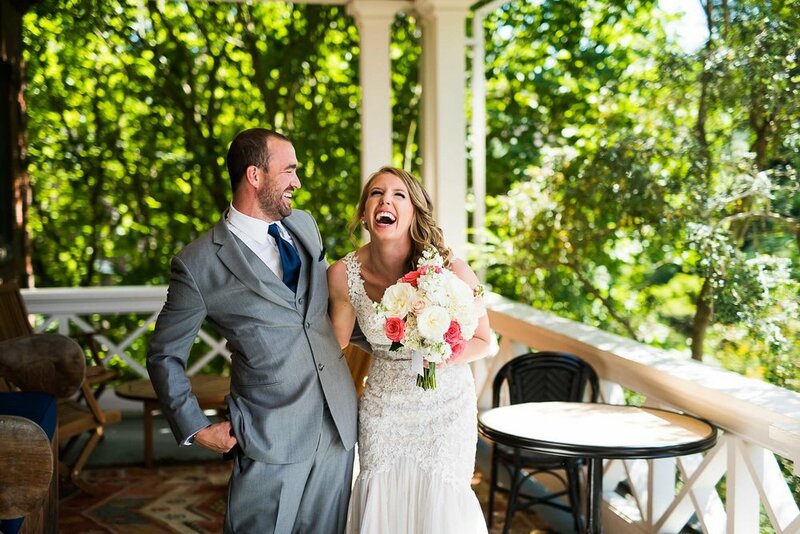 Erin and Dom's beautiful wedding at The Aerie at Eagle Landing was casual elegance! They're a laid-back couple and planned an event that really reflected that. Their color choices were quintessential Spring - they opted for a posey shaped bouquet and whimsical centerpieces which created a joyful atmosphere. Erin's wildflower inspired bouquet (and centerpiece) florals were created with mostly mums, freesia, calla lily and hyacinth. The bridesmaid's bouquets had a similar look but we added spider mums, hydrangea and roses also. Their centerpieces were SO much fun! We had a few that were wheat grass and Gerber daisies, while others were in cute white textured bud vases with freeform florals. On an unrelated note, we love that Erin's wedding dress had pockets! The images below were provided by Art Of Joy Photography. Erin & Brian's patriotic themed wedding at The Reserve Golf Club was a fantastic red, white and blue military wedding affair! 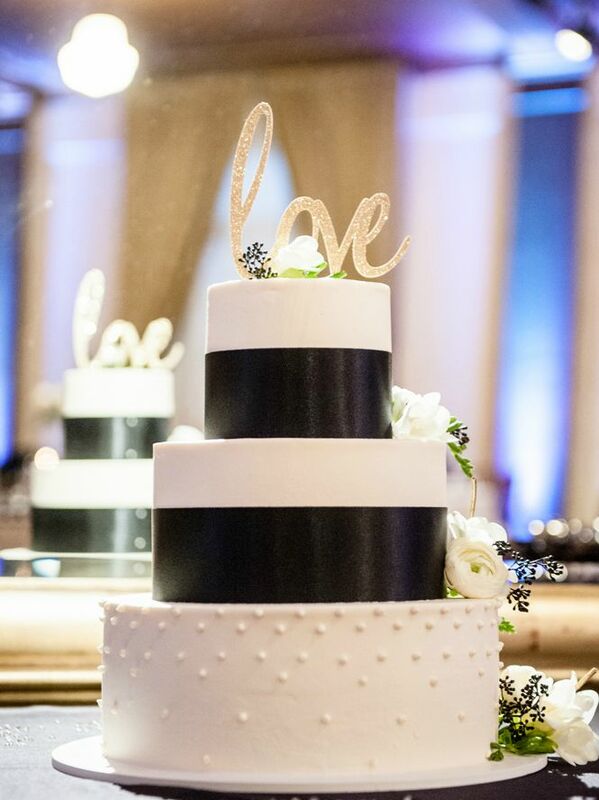 We adore couples that embrace the unique details of their relationship and find a way to make them part of the big day. Erin and Brian definitely did that! 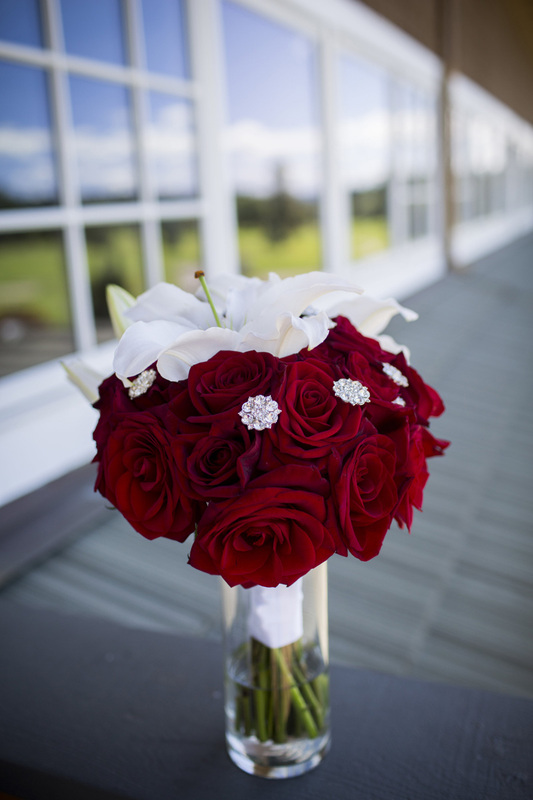 Erin's bouquet was created with red roses and white Asiatic lily, accented with rhinestones. Her bridesmaids carried all white rose bouquets. Centerpieces were created with white mums, stock, red roses and the smallest splash of blue came from thistle, and places in gold vessels. 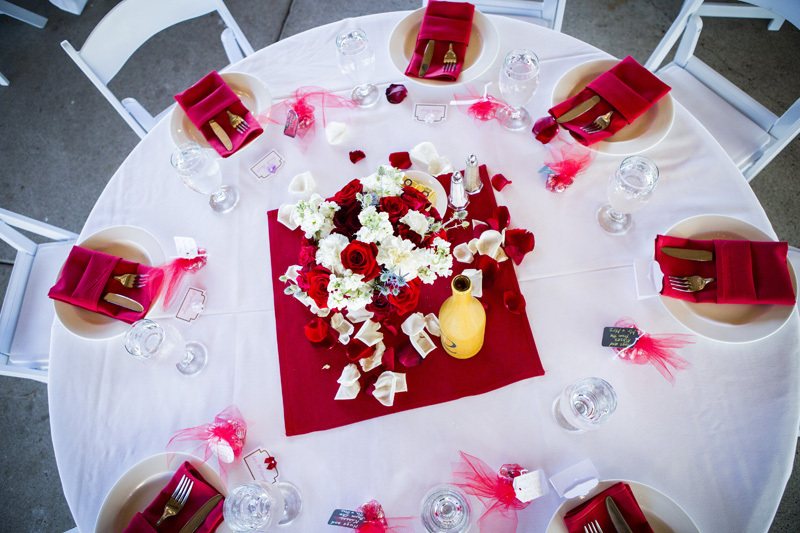 The base of each arrangement had a ring of red and white rose petals. We were delighted to be part of making Erin & Brian's wedding dreams come true!